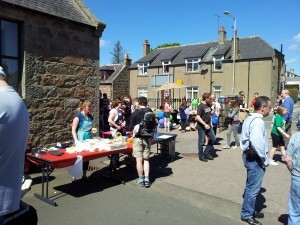 The sun shone on the Tarves School Fete this year as the crowds arrived to spend their pennies. Piped in by the Ellon pipe band, the activities got under way. 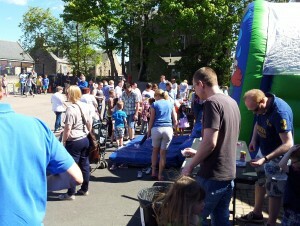 BBQ and teas and coffees were busy while the kids indulged in wet sponge throwing, duck hooking, spinning, target football with all the usual face painting and kids activities. Lots of stalls from Mrs Smiths cakes to carol of Tarves jewellery get the adults shopping for a good cause. The Formartine Fairtrade group and Tarves heritage society had stalls along with crafts and photography by Tarves School’s former Janitor and now professional photographer Martin Henderson. Next Next post: Join a Choir for the day?